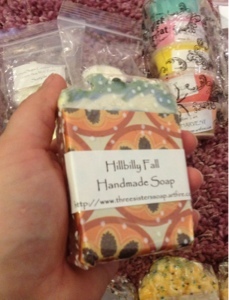 As I mentioned in an earlier post I think that Three Sisters Soap is offering thee best soaps out there. 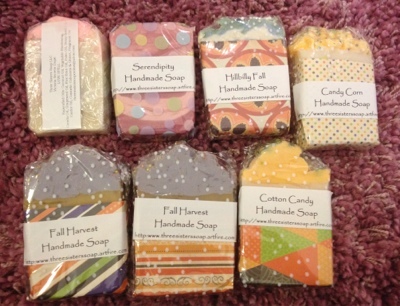 I just experience that they lather wonderfully, smell strong (unlike most other handmade soaps I tried) and are not drying my skin at all (my major complaint with most bar soaps). 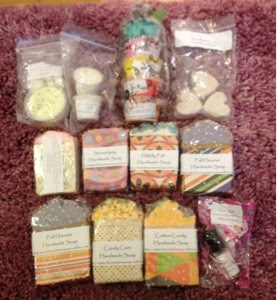 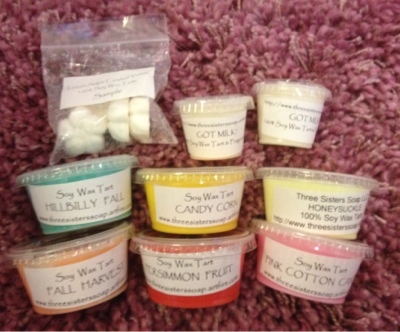 Recently she had several lots up for grabs containing test soaps she made and fall soap bundles so I had to grab couple of lots. 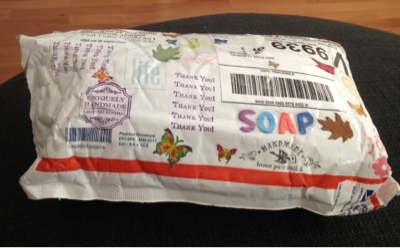 As always she stuffed the envelopes with soap samples and full-sized items to the brim! 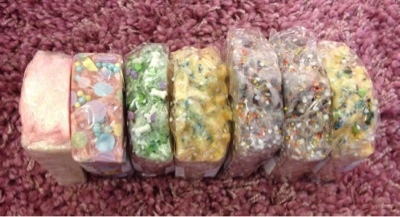 Debbie is always so generous with freebies! 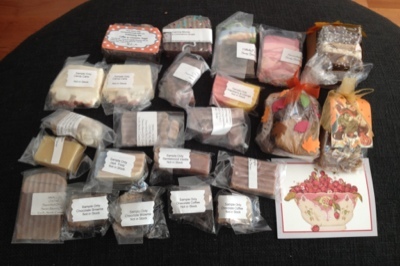 Lot 1 was a lot of autumn soaps. 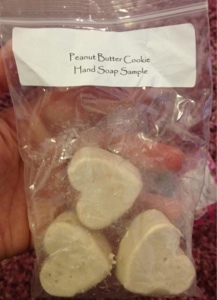 These chunks are so huge and came packaged so nicely! 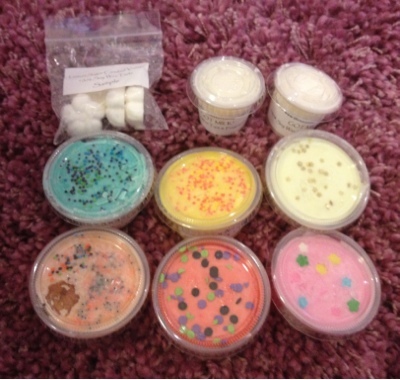 I think I paid around $15 or so and I believe there is one more lot like this on her site up for grabs!